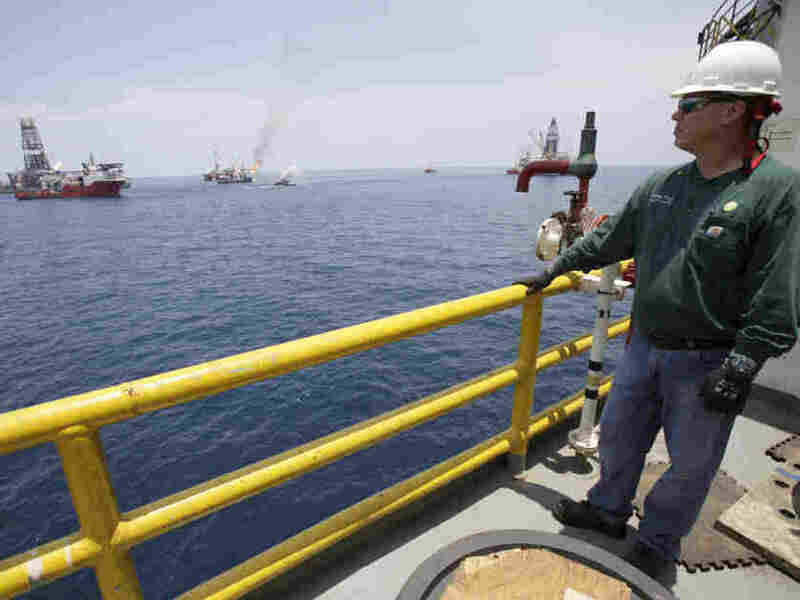 Having dodged the threat of another tropical storm in the Gulf of Mexico, BP is resuming operations to continue drilling the relief well that will allow it to doubly kill its now tamed Macondo oil well. BP had placed a plug in the relief well as an approaching tropical depression led it to batten down the hatches. But now that the danger has passed, BP is resuming work on the relief well so it can eventually pump cement into the well from the bottom in a procedure known in the oil industry as a "bottom kill." That's the gold standard in stopping a runaway well. The energy giant already has performed a "static kill" on the well by pumping cement into the top of the well earlier this month. Adm. Thad Allen (ret. ), former Coast Guard commandant, who has overseen the crisis for the federal government had said recently that with the success of the earlier static kill operation, the government might let BP stop work on the relief well. But the federal government clearly changed its mind and decided to take the belt-and-suspenders approach on the well that has caused the worst oil-spill disaster in U.S. history.